My husband purports to be "from" Ohio. He was born in Indiana and actually relates more to Northern Virginia (NoVA)/DC, but whenever asked out pops "I'm from Ohio." What follows is usually a challenge: Oh yeah? What part of Ohio? Then begins the showdown between those who have ties to Cincinnati, like Ian, or those from the other place. You know... Cleveland. I guess Columbus doesn't really have a following, and please don't talk about Toledo. I don't get it. I'm not "from Ohio" so I don't care much about any part of it. I'm not really from any state, though I do have home ties to NoVA/DC. 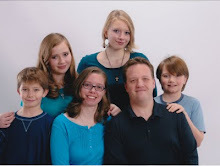 We lived in Silver Spring, MD, we had two houses in NoVA, and we plan to live in DC once all the kids are grown. So OK, I guess I'm "from NoVA." Which is is not be mistaken as "from Virginia." I want to be very clear about that. But Ohio has one good thing, and it's not White Castle. Not even Skyline Chili. See, there's this tree in Ohio (and about 6 other states) called the Buckeye. 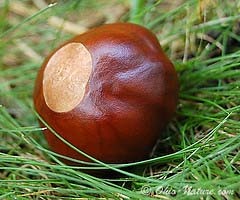 Aesculus glabra is referred to as the Ohio Buckeye, the American Buckeye, or the fetid buckeye. Why do people do that? Fetid? Ew. It's a relative of the chestnut. Those same nuts that are roasted on an open fire in the Christmas carol. People buy them as hand warmers while walking through a winter market, but I've never seen anyone actually eat them. When roasted they get mushy. Buckeye. Buck eye. It's called this because the seeds look like the eyes of deer. Since there's not much in Ohio but Cincinnati, Cleveland, some college football (I went to a college without any football, so... eh), the Mud Hens and White Castle, folks turned the Buckeye into a dessert treat. Not the actual buckeye, that would be gross. Remember, it gets mushy. Instead they took an assortment of other food stuffs and turned them into something that resembles a Buckeye nut. They are so easy to make with no baking involved. Roll peanut butter balls, dip in melted chocolate. Done. After an initial mixing with a spoon I find it's easiest to just get in there with hands. After it's all mixed together nicely it should ball up easily in your palms without being runny or sticky or crumbly. If it is any of these things, adjust accordingly with a little more PB or a little more powdered sugar until you get something easily rollable. Line a tray with wax paper and start lining up little PB balls. I think it makes 70-80 balls, but don't quote me on that as I didn't actually count them. There were a lot. Put the tray in the fridge. In a double boiler, melt 1 cup of chocolate chips and a dollop of Crisco. The Crisco will let the chocolate set in the fridge and avoid melting off in room temperatures or with the touch of a finger. Confession time: I do not own a double boiler. Instead I use a small to medium size pot with some water in the bottom, top it with a metal mixing bowl, and melt my chocolate there. Who needs specialty gadgets? Except for my pastry cutter, that thing is a huge time saver. to dip them without scalding myself otherwise. Some folks have no feeling in their fingertips. I salute you. Pick up the chilled PB balls and give them a quick dip and twist in the hot melty chocolate sauce, let the excess drip off before placing them back on the tray or there will be a puddle on the wax paper. For the rest of us I recommend the toothpick method. Poke, lift, dip, twist, drip, cool. Done. Pop the tray back in the fridge and eat at will. We can manage two at a time, maybe three if we set our minds to it. They're cute, they're easy, they're great when you just have to bring something to a party. It'll also bring every Ohioan out of the woodwork. Yeah, it's closer to the end of January than the beginning. And? Our decorations take up little weight and space. which never saw the light of day this Christmas. The tree was boxed up a couple days after Christmas, the cats enjoyed it far too much and we couldn't risk leaving it up while we went on our trip after New Year's Eve. And why I thought a tree with individual branches instead of 2 big parts was a good idea anyway, I'll never know. Every morning we found gaps where cats had climbed up and pulled out branches, which is why there are no ornament boxes in the above photo. The lights weren't safe. I think 1/2 a string might still work, if they were ever left alone long enough to remain plugged into the transformer. Not even candy canes or Christmas cards were safe as decoration. It all ended up on the floor every, single, morning. What can you really expect though from a Minesoda Christmas tree made in Thailand, and 3 fascinated kittens? Back in June I decided to teach myself how to knit with the help of youtube. My mom tried before but I didn't stick with it and everything she showed me went out the window. I can sew enough to know how a sewing machine works as long as I have a manual handy. Side A: Shirts from my childhood. Side B: Shirts from my kids' childhoods. I can also crochet just fine, FYI, yet so many patterns are labeled for knitting and there was a hole in my repertoire. So with a set of circular needles and a will to make something, anything, I picked a blanket that not only changed colors but changed stitch with every color. Keeping it simple, my friends, keeping it simple. At least I didn't dive right into socks or sweaters, right? I'm not completely insane. I'd love to proclaim that 7 months later it's complete. Alas, that would be a lie. And lying is bad. Instead I'll say Hey look! Progress! I didn't know there was such a thing, but apparently there is a feral cat mating season. Not only is Tandoori all grouchy about it, he's fixed but having cats in the yard makes him even more grouchy than having cats in the house, but Shawarma and Zaytoun, who are not fixed yet (Shawarma is going this week) are just all bent out of shape. Falafel can't figure out what has gotten into all of them. facing away from the camera on the chair. This is our yard. There is one particular female in heat who is being stalked and chased and harassed by either 5 or 6 males. They are a mangy lot. They yowl and fight at all hours of the night and day. They are spraying everything, scratching up the little bit of grass we have, and being a nuisance. What this city doesn't need is more cats, either, but I don't think that female has much say in the matter. I'm working on it. It's been too cold at night to set out the humane trap (it's a Havahart 1079, and it made it through the DPO) then have a cat in 30-something temps just sit there all night. Tonight it's closer to 40F at night and it gets steadily warmer from here on so I feel confident that I can trap them and get these guys, and gal, squared away. I put this photo up on our vet's facebook page as well. There are those who believe that feral cats should be left unspayed and unneutered because, well, that's how they should be. I, of course, heartily disagree. These cats are all dirty, living on garbage, and daily risk cars, disease and plenty of nasty humans. They breed like crazy. It's a rare day when I drive that we don't pass kitten and cat carcasses in the street. But I'll end on a happier note. Apparently one of the cats decided to offer up a mini mouse to the water gods. It reminds me of all the times Masala would offer up rubber bands to the water gods and there were soggy stretchy blobs floating in the bowl. Those were his favorite. All I can say is that better not end up on my bed. The boys had a snowball fight. The snow packed beautifully but turned to slush. Nicholas decided rolling down the hill was a great idea. Thankfully there were no cars. And it distracted them from the idea of sleds. I promised we'd go to Starbucks if we were all off. The end of our road disappeared in fog. The coffee mug is a little out of perspective. It's not as big as her knee. And why does it look like they are in a ski lodge? Amman. The land of the smoking Starbucks snowman. In front of our home is a hill. A hill that ends in a little road with a little barrier. And then the hill continues on into a ravine. The ravine is covered in fog. Does snow make next year's olive harvest even better? Happy the lockout is over. Even deserts get cold. Really cold. At night, in winter, the daytime temps vary drastically from the drop to nighttime temps. And if it is winter, then yes, Virginia... the desert does get snow. Wednesday afternoon, after rain and hail from Saturday night onward , the moisture turned to snow. This was us late Wednesday afternoon (above). Coming Thursday morning, after a full night of snow... and it is still snowing at 10 a.m.... we have a significant accumulation. Enough for a snowball fight. Enough for little snowmen. Enough for another day off school. Oh who am I kidding... the day off yesterday was for rain. There has been so much rainfall in the past week that the reservoirs are filling by record rates, streets are closed and tunnels are flooded. Amman is big on tunnels. Following the British system of roundabouts, in order to bypass an intersection we have tunnels under the circles. Several are filled with several feet of water as the drainage systems are overwhelmed. This is us today, Thursday, 10 January. The kids are off school today, the Embassy even closed. I'll take a photo of the road outside our driveway and you'll see why. Our front entry, where the rain was pouring in earlier in the week through the ceiling. The dripping has stopped, most probably because all the liquid is now frozen. The snow has drifted against the glass door and in the backyard where the snow has settled nicely on tables and chairs I'd venture it's 2-3 inches deep. The driveway slants up, and the street outside the gate slants down at a steep angle, plateaus at a cross-street, then has a drop off into a valley with a road at the bottom. It's a scary road on dry days, iffy on wet days, and not even worth an attempt on days like today when the snow covers a sheet of ice. I'm sitting here in the kitchen watching the snow fall outside, listening to the quiet as everyone is still sleeping. It's remarkable. I never thought it would be like this in Jordan, never in a million years but I'm thankful it is. I'm even more thankful that there's a Starbucks within walking distance. A perfect excuse to go out and enjoy the beauty of snow in Amman.